Catalogs will ship within 2 weeks. Every attempt will be made to add catalogs to your next order or standard UPS shipping charges will apply. A research paper designed to stimulate a “Best Practices” approach in using Epicor Prophet 21® Software for inventory management and replenishment. 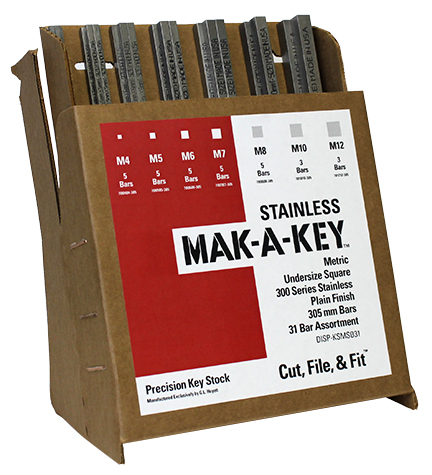 Handling plain finish parts correctly is critical to extending their shelf life. Improper handling or storage of plain finish parts can result in surface corrosion in as little as 24 hours and voids any and all warranties. To ensure that all goods arrive at G.L. 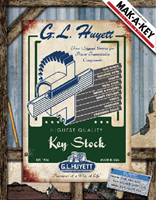 Huyett's facility in good and resellable condition, G.L. Huyett vendors must comply with the instructions and specifications defined in our Packaging and Shipping Standards. Compared to nuts and bolts, solid pins, and coiled pins, large diameter slotted tension pins offer a low-cost, light-weight alternative that are versatile and easy to install. Available in a broad range of materials and platings, they can provide a stronger joint than many mild steel pins, and increase production speed by eliminating reaming, threading, or counterboring holes. SPIROL® explores the differences between cold heading and machining pins including tolerances, applications, and price to assist in selecting fasteners for optimal performance while reducing the total overall cost in assemblies.. It is possible to make a lift, suspend certain objects, or construct barriers using a wide variety of hardware options. With so many choices available, how do you make sure you're using the right hardware for the job? The attached charts and information will assist you in making a decision.